Tired of Your Nightly 2 AM Wake-Up Call? Does it seem like every night between two and four AM your internal alarm clock goes off? This is one of the most common problems people with fibromyalgia have. It's also increasingly common in the general population. But what if that annoying wake-up call could be forever stopped? Let's look at some of the major causes. A drop in blood sugar level is a major problem in people with adrenal fatigue. It can be especially common in people who are exhausted and "hangry" (hungry when angry) all day and whose minds suddenly go wide awake at bedtime. The drop in blood sugar triggers an adrenaline rush and you're suddenly wide awake. The solution? Shortly before you go to bed, eat a 1-2 oz high protein snack such as a hard-boiled egg or some cheese, meat or fish. A sugary or high-carbohydrate snack will actually make the problem worse. You'll know if this is helping after one or two nights. In addition to the other hormonal problems seen in fibromyalgia, people often have a drop in antidiuretic hormone (ADH or vasopressin). This makes it hard to hold onto water, so you "drink like a fish and pee like a racehorse." That can keep you up at night. To begin with the obvious, avoid drinking a lot of fluids, especially caffeinated drinks, for a few hours before bedtime. Because we're an upright species, gravity pools fluid in our legs. As much as a quart or two. When you lie down, it recedes back into the rest of your body. It has a similar effect as drinking a quart or two of water while you're sleeping. To prevent this, prop your feet up for a few hours before bedtime while you're sitting around. This way your legs will drain and you can urinate the fluid out before you go to bed. A simple prescription nose spray or tablet called DDAVP can supply you the antidiuretic hormone to keep you from running to the bathroom all night. This is the same treatment they give kids who wet the bed. Taken during the day, it also helps for low blood pressure problems (orthostatic intolerance). The dose is 1/10 mg, one or two sprays or tablets at bedtime. If you're only urinating small volumes, hold off on going to the bathroom for five minutes when you wake feeling the urge. You'll often fall back asleep by then, and this will retrain your bladder to sleep through the night. Another common cause of night sweats is night time acid reflux. Although you may sometimes notice the heartburn when you wake up, other times you won't and you'll just wake up in a sweat after inhaling the stomach acid. This is especially likely to be a problem if you have daytime indigestion. Follow the suggestions below and after three weeks you may find your daytime heartburn begins to settle down. Start by taking an acid blocker such as Prilosec or Nexium an hour before bedtime for three to four nights. If this helps, you've identified the problem. At this point stop the acid blocker as it's quite addictive and toxic when used long term. Then follow the instructions below. Plant-based digestive enzymes. Don't eat within two hours before bedtime. However, one hour before bedtime take 2 capsules of a plant-based digestive enzyme. This will ensure your stomach is empty while you sleep. Adjust your sleep position. Sleep with your upper body elevated. Raise your upper body at least 6-8 inches when in bed (just raising your head with pillows won't work). One way to do this is to place a 6-8 inch brick or phone book under the legs of the bed (just the two legs by the end of the bed where your head is). Another wonderful solution is to use a sleep wedge pillow (you can find one online at Hammacher Schlemmer. Antacids. Take chewable antacids, such as Immediate Heartburn Relief. Keep a few at bedside to take if needed. Flexeril (cyclobenzaprine) 5 mg. 1/2-1 tablet at bedtime. Ultram (tramadol) 50-100 mg. Although this is treated like an addictive medication, I've never seen anybody with a tramadol addiction, nor have the addiction specialists I've asked. Still, use the other medications instead if you are taking low-dose naltrexone. Zanaflex (tizanidine) 4 mg. 1/2-1 at bedtime. Stop it in the rare event that it causes severe nightmares, and it should not be combined with Cipro. Elavil (amitriptyline) 10-25 mg. This medication combined with Neurontin can be especially helpful for people with pelvic pain, such as interstitial cystitis or vulvodynia. Curamin®. This mix has been a pain relief miracle for many people, and can be taken 1-2 capsules 3 times a day as well. It continues to increase in effectiveness over six weeks and can be taken with any pain medications. 5-HTP 300 mg. After six weeks, it helps sleep, decreases pain, and even improves mood. Terrific Zzzz™. Though not explicitly a product for pain, good sleep is important in helping relieve pain. This will also have a calming effect. For more sleep information, see my recent articles in which I discuss medications and natural remedies as well as treating sleep apnea and restless leg syndrome. 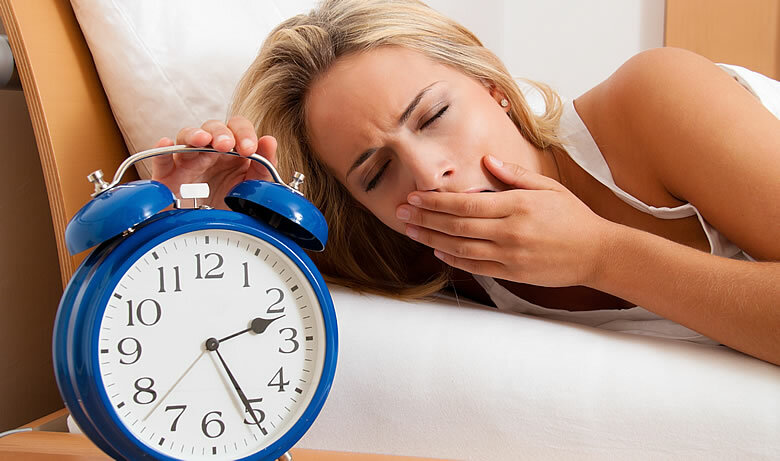 You can get a solid eight to nine hours of sleep a night — even with fibromyalgia!